Are you interested in learning how to use the wood lathe in the woodshop? This pen turning workshop is the perfect workshop for you! 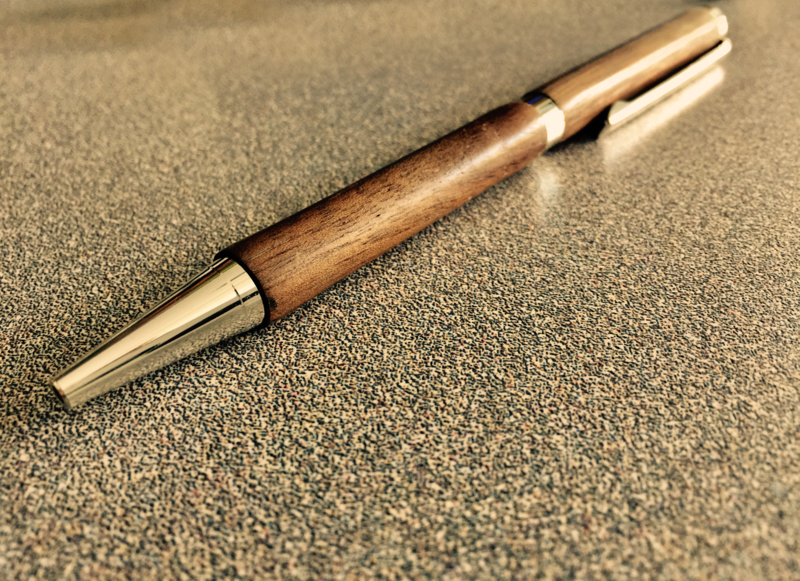 Learn the basics of pen turning, familiarize yourself with the lathe, and go home with a gorgeous custom made pen. This is a hands-on class with a limit of two participants per class. By restricting the class size, we are able to eliminiate time spent waiting for machine use. Each student will have their own lathe, and will be provided with direct instruction from the instructor. No previous experience necesary. All materials included. Participants must be 18 or older. To keep our classes affordable, we book our instructors and purchase materials in advance. We depend on advanced registration. Classes without sufficient advanced enrollment may be canceled. Advanced registration closes 5 days before the class date. Reservations made after this date will be subject to a 20% late registration fee. Cancellations must be made one week before the class date in order to be eligible for a refund.